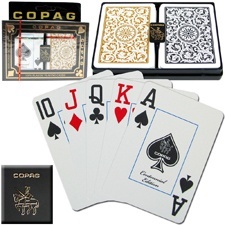 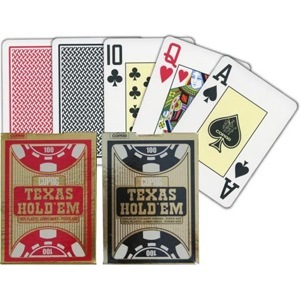 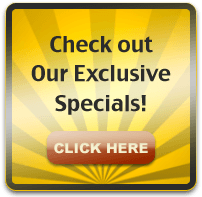 COPAG cards are considered by knowledgeable players of any card game to be the finest in the world. 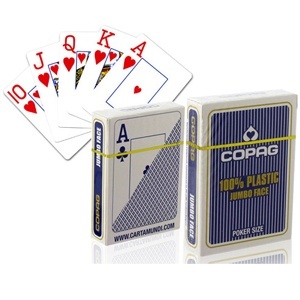 Made from 100% PVC plastic, Copag sets are generally expected to last from 20 to 50 times longer than regular plastic cards. 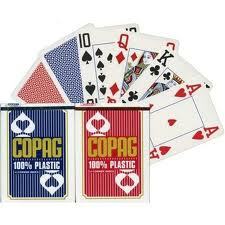 Even Copag cards are considered as the cards that impossible to be marked, Gambletrick company can mark them very well. 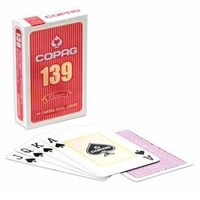 Luminous marked Copag cards are undetectable by naked eyes but now after you wear the infrared contact lenses or the luminous sunglasses, you can see each card both suits and number very clearly. 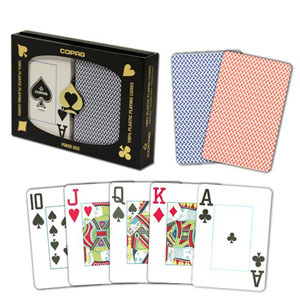 With all those help, you can make the game.